Summoning are a band that have never found great favour with me, despite their legacy of being part of the Austrian Syndicate with stablemates like Abigor and one of the largest acts in Austrian BM, their music has never really spoken to me. I will confess to not being a large 'atmospheric' fan, generally preferring weirder compositions or sheer brutality. Summoning don't work in either of those camps, their music is calm, measured and consistent throughout this 8-track and hour runtime effort. For those who have not heard a Summoning record before, it's the type of music that feels like you need to play the Ocarina of Time or The Elder Scrolls along with it, or better yet Middle Earth: Shadow of War. Summoning are Tolkien fanatics (as seems to be a large cross-section of BM bands). The music evokes those feelings of fantastical lands where orcs and elves dwell and battle, which is great for some, it's just not my cup of tea. The songs flow into one another pretty seamlessly, there is little distinction from one song to another as the structure of each song is very similar and the array of instruments is the same. In all honesty I'm in two minds about this approach, on the one hand it gives a consistent feel to the album and encourages "With Doom We Come" to be taken as a whole, on the other hand, it ensures that there is not really a standout track as each song flows into the next. The songs are arranged nicely with no element particularly taking center stage, each song is a tapestry woven with a variety of instruments, no instrument or voice is more prominent than another, everything works in unison. My only gripe with the instrumentation is the keyboard sounds which are very synthetic and dungeon synth-y, however, this is personal taste and it’s an aesthetic that is obviously chosen by design rather than a lack of options. 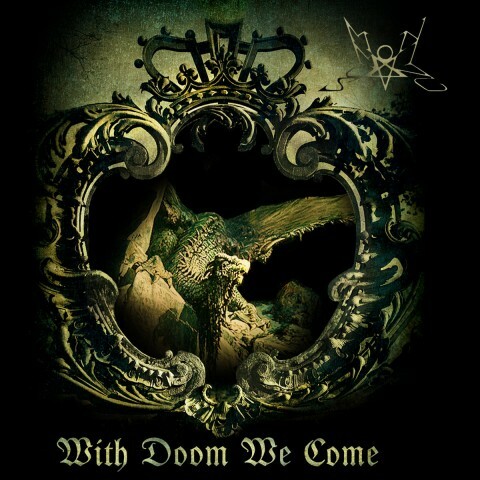 "With Doom We Come" is pure Summoning though, for better or worse it is a consistent output from them that matches their previous work and will have their fans excited as they haven’t had an album to sink their teeth into since 2013 with "Old Mornings Dawn" and Caladan Brood’s eponymous debut. For those fans who live and die by Summoning this will easily sate their desire; it’s just that their particular brand of BM is niche (which is no bad thing). 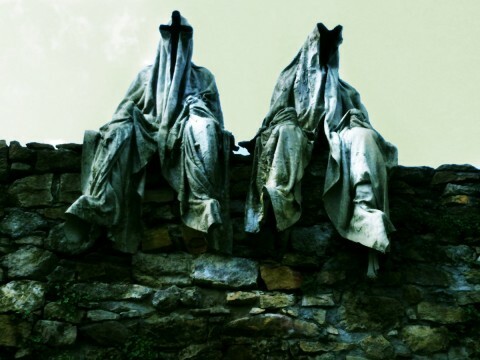 They own their niche of Atmospheric Fantasy BM, it is what fans hoped for but will likely not appeal to a majority of those who are more invested in the heavier exploits of black metal. I can’t fault the album in what it sets out to do; it creates a fantastical atmosphere and is a continuance of the quality Summoning are known for, I just don’t think it creates a very rewarding listen, I am hard pressed to remember any passages, there is no striking moment where the album makes me stop what I’m doing to listen intently, it’s good background noise for those not in the thrall of this sub-genre, for those enamoured with the efforts of Summoning and similar bands this is recommended listening.